A good place to drop in for a meal. Staff are friendly and service is prompt. Good outside seating area. plenty of parking space. Fabulous food and lovely staff. However, rather too many dogs welcomed into the dining room - not all well-behaved! Plus, access and facilities for those with mobility difficulties are not very good. Another great visit to a Red Mist pub.....excellent food, drinks & service as usual! 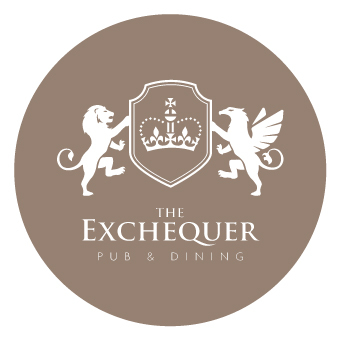 We have been to The Exchequer a number of times and have always found the staff to be friendly and food of good quality and value for money. Absolutely delightful meal. Had the two course roast for £20 ish and both courses were lovely. Will be back! Delicious food and great service,good offers too! Another lovely meal enjoyed with family. Never fails to please. Could have been a bit cheaper but not to bad. Fantastic friendly service, really good vegan menu and the food was great! Third time here in as many weeks, lovely food, atmosphere and excellent service. Brought son and girlfriend with us this time and they really enjoyed the food. Will be making regular visits here. Excellent food and service. Well worth a visit. Wine a little on the pricey side, could do with a couple of cheaper options. Amazing service and food! Would highly recommend!!! Excellent all round. Visited for my wife's 50th Birthday- food and service all fantastic and they went out of their way to make us feel welcome. We will definitely visit again - soon hopefully! Lack of green veg on our Sunday roast was a little disappointing. Red cabbage is okay but would have liked some peas or broccoli. Good roast beef and the Yorkshires superb. The Exchequer has become our restaurant of choice in our local area.